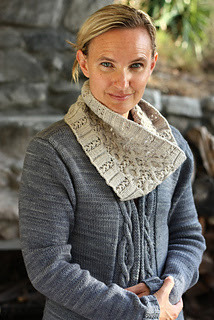 You can find Julia here, and here on Ravelry. Follow her on Instagram here. Her Ravelry group is here. For the vast majority of my designs, inspiration begins with the yarn. Several really wonderful small yarn producers provide me with yarn support, so I choose a yarn and a colorway from among those and then swatch to determine how to bring out the best characteristics of each base. It's a wonderful way to work because I get to design for yarn characteristics rather than designing around them. Other times, I may begin with either a stitch pattern or a shape, then swatch and sketch to see where it takes me. I find the yarns themselves and stitch dictionaries to be my greatest source of inspiration, but I do like to look at current fashion as well. I love anything that adds texture. Sometimes cables, sometimes lace, sometimes slipped stitches. Texture always makes me happy. Lately, I've played with color as well, but my happy place is texture on a solid field of color for the most part. I created an amalgam from the CYC standards, the ASTM's, and my own body proportions. I design adult women's garments to fit bust sizes 28” - 55” in 3” increments, for a total of 10 sizes. Because of the wide variety of womanly shapes (I design mostly women's sweaters), I know I am never going to be able to design the perfectly-fitted sweater for every person, but I strive to provide a solid starting point for most people on the spectrum. 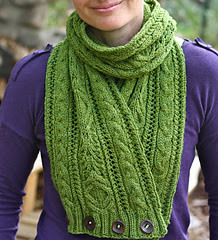 Working from any knitting pattern is like buying directly off the rack. To get a great fit, adjustments will often need to be made. 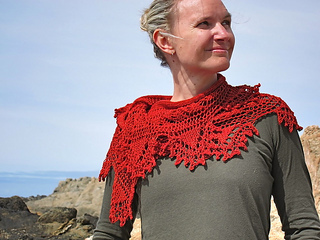 By starting with solid numbers, offering a wide range of sizes, and including very detailed schematics, I offer the knitter the tools that she will need to get the proportions just right. I look at everything that I can, but I have to confess that the more I design the less time I have to look at other people's work. Before I designed consistently myself, I knew everyone who designed and every piece out there. Now I have to work harder to stay current. I am not terribly concerned about overlapping with others. My aesthetic is pretty specific, so even when looking at designers I really admire I don't find too much crossover. A lot of the work that really interests me is from the fashion world, which decreases the possibility of overlap even further. I love the runway, but I know I'm not going to find myself (or my sweaters!) on it. 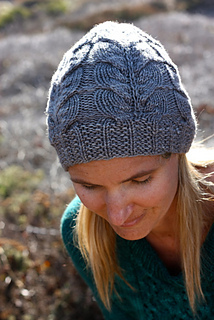 How many sample knitters do you have working for you or do you do it all yourself? I do the vast majority of the work myself. If I wanted to grow beyond a certain point it would be necessary to employ sample knitters, but because knitting is one of the things I love most about design, I have limited the amount of work that I do so that I can continue to knit my samples. 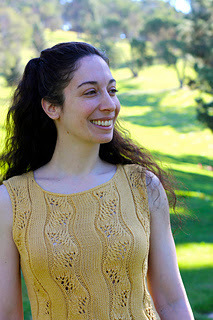 I used a sample knitter a few times when designing for a third-party publication because I wanted to make sure that I could meet multiple deadlines at once, but that was several years ago. Even then, I did the patterned portions of the design and the finishing myself. I just prefer to keep my hands on my designs. I need to know them well to provide support. Most of my work is self-published now, as I prefer to set my own timelines, so using a sample knitter is not an issue. Yes, but I would call it semi-formal. My business plan has also evolved over time (and is still evolving), so it only bears so much resemblance to that initial plan. Not formally, but I have learned a great deal from friends who are designers, and most of all from my good friend, Marnie MacLean. Marnie is the consummate professional, and although we began designing around the same time, until the last several years she published much more regularly than I did, and therefore had a lot more experience. Over time, our relationship has balanced out as I have published more patterns. We are a constant resource for each other, and that is invaluable. There is little that is more helpful to me than my relationships with other designers. I'm sure that this is true of most industries, but in knitting, it seems like there are as many business models as designers. 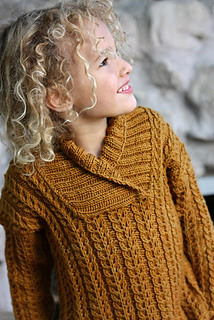 The ways to structure a knitting pattern design business are extremely varied and it helps to look at many to develop your own. Everyone has different factors to take into account: full-time vs. part-time, primary vs. secondary career, is there a family to balance, will you teach, tech edit, or do some other fiber-related work, etc. I take close note of the different business models out there, but ultimately my own needs and constraints have dictated my business model. ALWAYS. Pride goeth before the fall. Balance is a constant struggle, and I don't pretend to possess it. I try to keep from teetering over the edge of knitting obsession by knitting and spending time online during lunch, late at night, early in the morning, and while my family is zoned out in front of a movie. I make use of car time. I still make my husband nuts with all the knitting, but he makes me nuts, too, right? It's all good. Criticism is something I'm much more likely to encounter in my job as an attorney than in my knitting design work, but I strive to handle it well in both arenas. Law has given me a very thick skin. Learning that there is no pride of authorship in that world has made me much less sensitive about my knitting pattern writing. If someone doesn't like something about one of my patterns I accept that not everyone is going to like everything I do, and try to find out if there is a good reason for their dissatisfaction. If there is, I try to learn something from the experience and remedy any problem that I can. Improvement is good business, and not the worst way to live, either. Supporting myself by designing isn't a goal that I have. To do that I would need to run my business very differently than I do. I run Mind of Winter Designs as a business in the sense that I handle the finances carefully, have production goals, provide a high level of customer support, etc., but I only aspire to a certain level of growth. 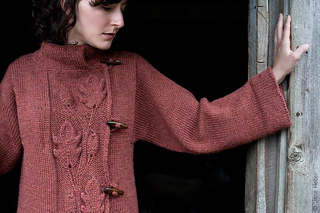 I want to knit all of my samples, and I want to enjoy the design work that I do rather than feeling harried by it. I don't want to have to think too much about whether people will buy something when I design it – I want to make the things that appeal to me and share them with people who appreciate them, even if that number of people is small for a given design. I don't doubt that there are people who can do this full-time and not lose the joy of it, but I am not in that category. Working in the legal field full-time (which I also really enjoy) pays my bills and allows me to do the thing I love most the way I want to do it. Having said all that, I make a good supplemental income from knitting, and I do enjoy the business aspect of it. As that income has grown over the years I have become cognizant of how much I do rely on it. Even if you don't do this full-time it can be a great addition to the family income. There are so many ways of pursuing a career in knitting that this is hard to answer. On the technical side of things, I would advise that people place a lot of importance on photography and tech editing if they are planning to self-publish. On the emotional side, I would advise patience and belief in yourself. Design involves a lot of rejection, and very little of it is personal, though most of it will feel that way. Know that it is going to happen, and accept that with grace. There is quite a bit of luck and timing involved. Sometimes a pattern that you didn't think would get any recognition takes off and other times your favorite design is a total dud. Enjoy the luck and move on from the pain. You are sure to get a good dose of both again. Finally, and most importantly, be a professional. In every way that you possibly can. With any luck, more of the same. I am at that stage of life we call “middle age” in every sense of the term. My life and my knitting are all about staying the course. I am at a very good place, where I feel creative and happy. No extra excitement needed. I just want to stitch away while watching my husband and kid play in the yard and be happy for all that I have. This is it.